last week a customer had the problem that he lost a Word Document which he wants to print. Only a pdf of the document was available but in this file the print protection flag was set. I used Ghostscript to reset the print protection. in vCenter there is no global configuration parameter to limit the number of snapshots for the virtual machines. The only way is to add a limit in the vmx config file or in vCenter configuration parameters of a single virtual machine. 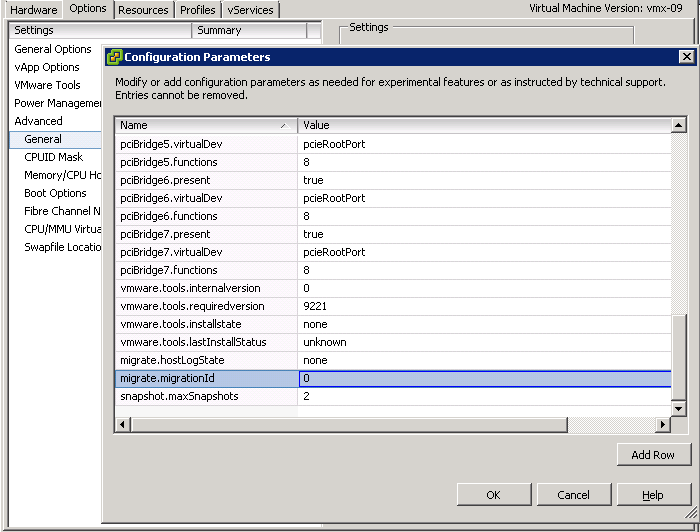 or open the configuration parameters window in vCenter and set it there.